Johnny Depp's attorneys said that his ex-wife Amber Heard's op-ed was responsible for the actor firing from his role as Captain Jack Sparrow in the Pirates of the Caribbean franchise. Earlier in March, Johnny Depp filed a $50 million defamation case against Amber Heard stating that her abuse allegations "were part of an elaborate hoax to generate positive publicity for Ms. Heard and advance her career." 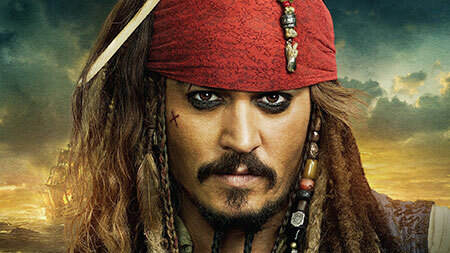 Johnny Depp Fired From his role as Captain Jack Sparrow. "This frivolous action is just the latest of Johnny Depp’s repeated efforts to silence Amber Heard. She will not be silenced. Mr. Depp’s actions prove he is unable to accept the truth of his ongoing abusive behavior. But while he appears hell-bent on achieving self-destruction, we will prevail in defeating this groundless lawsuit and ending the continued vile harassment of my client by Mr. Depp and his legal team." As the op-ed was published in December 2018, the lawsuit emphasized that it's all done to help promote her movie Aquaman. Johnny Depp and Amber Heard who tied the knot in February 2015 parted ways in May 2016. Four days after Heard's article named “I spoke up against sexual violence – and faced our culture’s wrath. That has to change” was published, Disney dropped Depp from the movie franchise. Depp, 55, played the role of Captain Jack Sparrow for 14 years since 2003 starting with The Curse of the Black Pearl and concluding with Dead Men Tell No Tales in 2017. Disney expressed its belief that they can sustain without him. There was, however, speculations that Disney could save $90 million keeping Depp out of the Pirates of the Caribbean movies. It's still unclear what's going to be the next for Pirates of the Caribbean with or without Johnny.